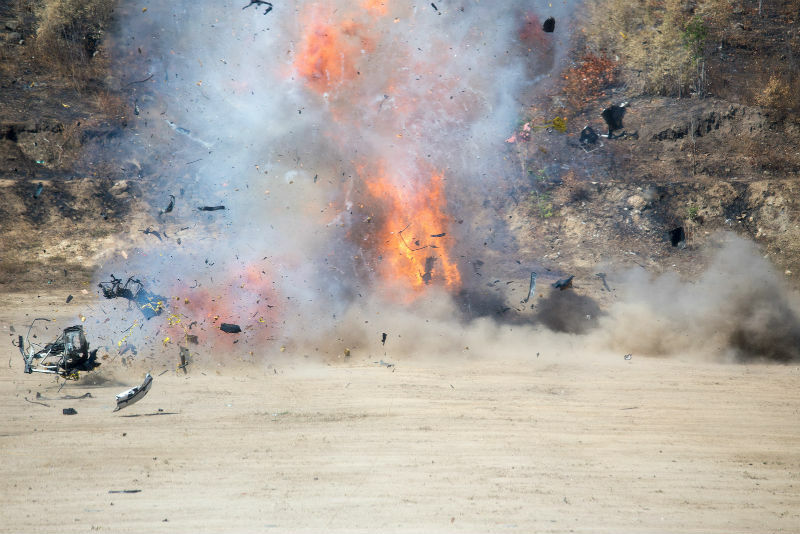 There's all sorts of fun to be had, and something that a whole lot of people like doing is shooting Tannerite. Watching stuff go "boom!" is a great American pastime - heck, world-wide pastime - and the appeal speaks for itself. Ever shoot a can of WD-40 while plinking? It's not exactly the most intellectual activity, and arguably you shouldn't do it...but darned if it isn't fun. Tannerite, for those unaware, is a brand of exploding targets. In technical terms, it's a binary reactive target; the explosion is caused by two reactive agents (that are otherwise inert) that react explosively when acted upon with sufficient force. 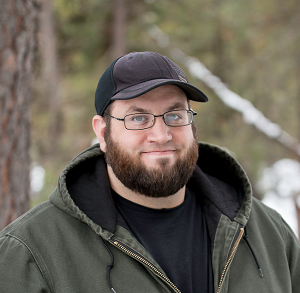 In and of itself, Tannerite (and generic forms) are legal to own or buy for the most part...but there are some things you definitely need to know about using it. Tannerite targets are a brand of binary reactive targets, comprised of two substances that are stable when mixed together but become unstable when impacted by an object traveling at sufficient velocity. Muzzle energy isn't what does it; you need high speed to turn the trick. The substances involved are a catalyst - Tannerite ingredients are usually ammonium nitrate or ammonium percholate - and a fuel, which is usually an aluminum powder. The two substances are kept separate inside a container of some sort. When penetrated by a high-speed projectile, the mixing of the powders and cavitation inside the container caused by the force of the impact causes the powders to mix and react, causing an explosion. Tannerite in and of itself is actually just a brand of such targets; the chemical process is hardly mysterious and a bunch of companies make them. However, the brand name has become synonymous with the product, leading a lot of people to refer to any binary reactive target as tannerite. It's just like how people call any hook and loop fabric "Velcro" or extruded polystyrene foam as "Styrofoam," despite Velcro only being Velcro if made by the actual Velcro company (they even have a page about it on their website) and Styrofoam only being Styrofoam if made by Du Pont. Wondering if tannerite is legal? Well, we aren't lawyers here at Bigfoot Gun Belts and this isn't legal advice, so make sure to check your state regs to be absolutely sure. However, the answer in a general sense is that it is. Thing about binary targets such as Tannerite is that all components themselves are perfectly legal to possess in most areas. The targets themselves are inert; you can't actually cause the reaction without mixing the components and shooting them with a rifle. No, a shotgun won't do the job and neither will basically any handgun, unless you happen to have one of those Thompson/Center Contenders in .30-30. However, here is the kicker: since the components aren't mixed, they technically aren't considered an explosive as far as federal law is concerned. However, once mixed, they are, and are at that point regulated by the Bureau of Alcohol, Tobacco, Firearms and Explosives. The ATF has their own page, so do read up. You can even buy the component powders to make your own so long as you're doing so for non-commercial purposes. However, if you mix your own, make sure that you're complying with any relevant Department of Transportation laws if you take them anywhere. That said, there are some regulations on binary targets such as Tannerite. For instance, the state of Maryland specifically bans such targets. The state of California is extremely restrictive on explosives as well, and while not specifically prohibiting them, could easily be read that way. Err, therefore, on the side of caution if a California resident and ask the authorities what their opinion is on the matter. Additionally, the United States Forest Service prohibits use of binary targets on USFS land in most Western states. This includes USFS property, national forests and so on in Colorado, Montana, Wyoming, Kansas, Nebraska, South Dakota, Idaho and Washington state, so make sure you aren't on USFS land or else the rangers will want a chat with you and will not have a sense of humor about it. Additionally, the Bureau of Land Management is not amused by binary targets. While only a few patches of BLM land specifically prohibit use of Tannerite, more are sure to follow so make sure any BLM ground you shoot at allows it BEFORE using it. Use of Tannerite targets is pretty simple. You set them up in a safe (and legal) area to use them in, and you shoot them with an appropriate gun. Then, you watch them go boom! The reaction requires a high-velocity round, which is recommended to have a minimum muzzle velocity of 2,000 feet per second. This rules out basically all shotgun rounds and handgun rounds and yes that even includes .357 Magnum. Yes, that also includes 10mm. Some people who shoot it like to pretend that the 10mm is roughly the equivalent to the .577 Tyrannosaur which is not true, at all, and they need to stuff it already. In other words, you need a rifle to set it off. An AR will do as the .223 and/or 5.56 NATO achieves sufficient velocity, as do other popular rifle calibers such as .243 or .270 Winchester, 6.5mm Creedmoor, 7mm-08 Remington, 7mm Remington Magnum, .280 Remington, .30-30, .308, .300 Win Mag, .338 Win Mag, and - of course - the most perfect bullet yet designed by man .30-06. The powders have to be mixed before shooting, which is why they normally come in two packets in a container of some sort; often a screw-top plastic jar. You mix the powders until a uniform mixture is achieved, then put them in the target container and close the lid. Set the target in a safe location, and get well away from it. Tannerite recommends 100 yards of distance per pound of mixture, so a 1-lb target should be shot from 100 yards away, a 2-lb target from 200 yards and so on. Get sights on target and shoot. Target go boom. There are some safety procedures you'll need to abide by, along with the normal rules of shooting safety. First, do not mix the powders until you're at the range and ready to shoot. Not only do they become potentially explosive at that point (and therefore potentially dangerous) but they also become an explosive in legal terms and cannot be transported unless in strict compliance with DOT regulations for transporting volatile compounds, so just don't do it. Store UNMIXED in a cool, dry place. 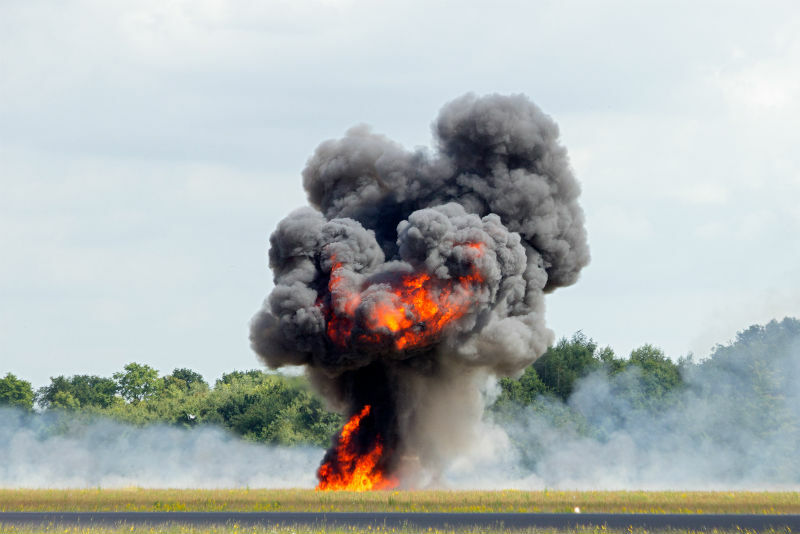 In other words, the way the law works concerning Tannerite and explosives, it's perfectly legal and actually more or less unregulated…until you mix the powders. At that point, federal regulations start applying, so for both safety and legal reasons, don't mix them until you're ready to shoot. Wear eye and ear protection. This one is pretty obvious. A best practice is to have the target above ground to avoid setting any debris flying. Shrapnel of any sort is not anything you want to deal with. Don't use in any areas with a noise ordinance and be respectful of any nearby property owners. They may not want to hear it. If you're going to use it, please do so in a remote area. If any sort of fire order is in place, don't use Tannerite/any binary reactive target. Don't use anywhere near any flammable or sparkable materials. 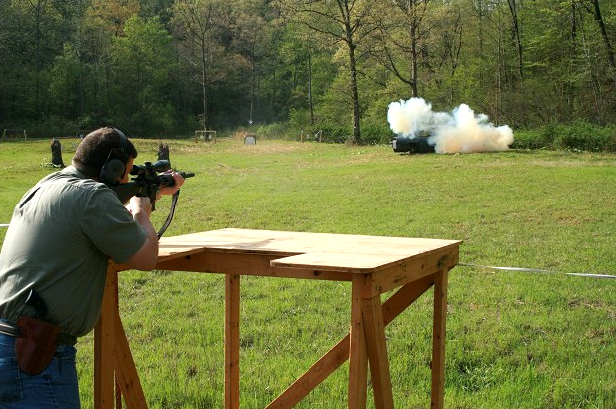 There's a certain amount of controversy regarding Tannerite and similar exploding targets and fires. The issue is complicated. The truth is that while fires are linked to/caused by exploding targets, they are often misused and - it must be said - there are many brands of these targets, and not all are created equal. Yes, exploding targets are behind fires or at least appear to be the only likely cause. For instance, the 486-acre June 8th, 2017 Gap Fire near Pocatello, Idaho, according to East Idaho News was traced to the use of an exploding target. (A fire protection order was in effect; the perpetrator used the target illegally.) In April 2017, according to the Arizona Daily Star, the 46,000-acre Sawmill Fire near Tuscon, Ariz., was started by use of an explosive target on state trust land. Other examples abound, such as the 10,552-acre Watermelon Hill fire of 2014 near Spokane, Wash., according to the Spokesman Review and others across the United States and even a few in Canada, such as a small fire started by a binary target near Fort McMurray, Alberta in May of 2017, according to the CBC. However, there are a few things to bear in mind. First is that if used as directed by the manufacturer and in an otherwise safe and responsible manner (like not using them when it's hot and dry outside) that such targets won't present a great risk for starting a fire. However, when set off around dry vegetation...the odds increase that a fire can catch. The US Forest Service, according to a press release on its website, tested various formulations of exploding target. Of the ten formulations that were tested, three were found to be flammable. So, while some formulations of binary targets may be non-flammable, not all are. In fact, some may be formulated to produce flames and thus a more thrilling detonation. Again, there's brand-name Tannerite and there's other binary reactive targets that people erroneously refer to as "Tannerite" because they can't be bothered to say "exploding target" or something like that. The brand-name product is formulated to be explosive but to also be non-flammable. Other formulations may not have had the same care taken to ensure that no flames occur or may have an incendiary component added to produce a more spectacular explosion. Home-mixed reactive targets may also be flammable, since the materials can be purchased (and mixed) by hand if desired. Also, setting off a target in the right location, with the right materials nearby can produce sparks, which may light dried grasses and other materials, so it may not be the exploding target itself. Additionally, even a non-incendiary explosion involves a certain amount of heat. A sufficient amount of heat in the right conditions can easily spark dry grasses and other media, creating a forest fire. Suffice to say that you should never, ever use an exploding target in a high-risk area or during the hot, dry periods of the year. Definitely do NOT use them in prohibited areas such as US Forest Service or BLM lands that ban the use of such targets. It should also be noted that the Tannerite themselves advise on their website not to use their products in such a way to potentially spark a fire, so fire safety is clearly something that needs to be paid attention to. While correlation isn't causation, Occam's razor would dictate that the two things coinciding so many times rules out the possibility of no fire having ever been caused by an exploding target. It also bears mentioning that our public lands, where a lot of people go shooting, are held in trust for us and those, as Teddy Roosevelt (and also Shakespeare, from whom he got the phrase) said, in the womb of time. They deserve our respect and our stewardship, both for ourselves and our posterity as well as the wildlife that inhabits them. Therefore, take great care if using exploding targets. After all, watching something go boom isn't worth prison and/or thousands of dollars in fines.